My name is Teddy Springer. I am a resident of Chevy Chase View, and I live near Rock Creek Hills Park. Over the years, I have spent much time working in my children’s schools. My daughter is currently at Westland, and despite the complaint of many that Westland is so far away, I go every week to volunteer. So I know it is a terrific school, providing my daughter with all the facilities, opportunities, and support she needs to get a top-notch education. I also know the park up the street from my house. I have already talked to you previously about the process that has brought us to this point. It was flawed, it was wrong, and it is putting our cluster at risk of building a new, expensive middle school that does not serve us properly. I have already asked you to reopen the site selection process. I am respectfully asking you again. This park is too small to sustain a middle school complex that would achieve parity in the B-CC cluster. I understand that you can engineer just about anything, but does that make it right? Do you want to force an expensive, inadequate complex onto the site and say you have met the needs of your community just because you have produced a school? Because you won’t have produced a school that provides a quality education on par with Westland. Students attending a school built at this site will not have the same amenities. I have attended the feasibility study meetings. I saw last week that the architect has produced three different site plans – before the completion of the environmental and traffic studies, before the determination that the site is actually feasible. In two plans, he has the buses entering the school property directly over the basketball courts because he has no other way of producing the required physical education and athletic components needed at a middle school. He wants our children to play basketball on courts that have the wear and tear of 30 buses traveling twice a day in and out of the school. Is that where you would want your children to play basketball? He has included two softball fields overlaid on two soccer fields. But he doesn’t know if they are regulation size. 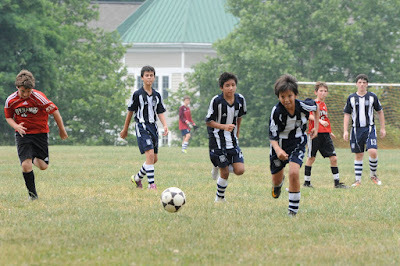 If they are not, will our children have had the training to be able to make the very competitive teams at B-CC? Will they ever be able to host home games or will parents constantly be driving their children to away games? Will parents have to drive their children to other locations even for practices just because there is inadequate field space? There is no parity here. You are not solving our current problem by rushing to judgment; you are not solving our current problem by producing an expensive, inferior school and creating a divide in our cluster. This process to date has been flawed, the way this has played out is wrong. So please stop now, reopen the site selection process and take the opportunity to fix this while you can. Do the right thing for our students and give them a school that achieves parity. My name is Jill Gallagher and I live in Rock Creek Hills. I am concerned about the construction of a new middle school on the site of Rock Creek Hills Park, and the apparent lowering of Montgomery County School standards in order to fit the school on this site. Last year, I took part in the Roundtable Discussion Group to find solutions to the overcrowding in some BCC cluster schools, including the consideration of moving 6th grade out of North Chevy Chase and Chevy Chase elementaries. In PTA surveys at these schools and Rosemary Hills, the overwhelming majority of parents supported keeping the 6th grade at the elementary schools with similar academic offerings to those at Westland. More than 200 parents wrote comments in the Rosemary Hills survey alone, with many saying they felt threatened into making the decision to move 6th grade to achieve academic equality. I am concerned that the parity with Westland that so many parents clearly seek will not be possible if the new middle school is constructed on a site half the size of Westland. Many of the site’s shortcomings are coming to light in the feasibility meetings. It was announced during the first meeting that the Ed Specs for county middle schools are merely recommendations, that the exterior spaces are negotiable, that there is a possibility of off- site athletic amenities, and that PE spaces may not meet athletic program requirements. We were told that the new school may not offer the International Baccalaureate (IB) program that Westland has. Since the new school also feeds into BCC, an IB high school, how will this affect the students who attend the non-IB middle school? In addition, we learned that the school might have a smaller capacity because of the site size. All of these scenarios will cause the curriculum to be different, which is in direct opposition to one of the primary reasons given for building the new middle school: providing the 6th graders at the Chases with the same education as the students at Westland. The county is going to spend at the very least $40 million to build an inequitable school. Our county cannot afford this mistake, which is completely unnecessary because larger sites are available. All of this advocacy and calls for change are welcome, but also overdue. Rock Creek Hills should not be the poster child for change. The change needs to start here, right now. Please pause the process now and find a better site. Thank you. I am David Kaplan, I live in Kensington. I am in support of public education. I believe that you are seeking an increase our educational infrastructure for two reasons. First and foremost, we need to ensure that facilities throughout the County provide for an equitable educational experience that will prepare our children for the future; Westland is overcrowded and predictions are that our population will increase. Secondly, let’s talk about the elephant in the room, our economy and County development IS dependent having adequate classroom space available to meet the anticipated growth in Montgomery County. As citizens, we rely on the Montgomery County Board of Education (MCBOE) and its new Superintendent, Parks and Planning, the Council, the Executive to ensure that you are making good policy and administrative decisions to sustain academic excellence AND the quality of life we enjoy in Montgomery County. I attended the MCBOE meeting when a budget was approved for the feasibility study based on a poorly conceived and improperly executed site selection process. A flawed feasibility process should be of concern to you as it is not seeking to address the root-question upon which the vote was based; will the study answer your question: “Can the Rock Creek Hills Park (RCHP) provide a feasible opportunity for a school that will meet the needs of our students at a reasonable cost?” Through my testimony, I recommend that the MCBOE provide additional oversight. I would like to make a few suggestions for your consideration. Our shared reality is that both the educational system and county developers/planners are pressing for a CIP proposal for a middle school in. The stakes are high for the developers; however, educational needs can be met in a number of ways that have not surfaced, to the best of my knowledge. I have to ask myself; why do we have the fox watching the hen house in our feasibility study and why are we putting all of our eggs in one basket in moving forward with a narrowly focused CIP proposal? I guess the answer is Tradition! The traditional MCBOE policy for school construction has been to identify a single site via a site selection report and thereafter to develop a feasibility study that is site- specific. Times have changed. I would like to suggest that the BOE revise its policy to consider additional options. Am I missing something here, is the outcome of the feasibility study predetermined? Wouldn’t it make sense while conducting the feasibility study to consider focusing more on the requirements and costs for the BCC middle school-#2 and for alternatives. The decision to select RCHP as the site for the new school was unduly pressured and the process was flawed; thus far we are seeing options presented in the feasibility study that will not provide for a school with parity at a reasonable cost. I would like to suggest that the MCBOE work with other branches of MC government and with the private sector to identify public/private partnerships where developers become part of the equation in the process; they have a fiduciary opportunity and responsibility that has not been realized. I also understand that the BOE will meet with the NCPP. I am hopeful that additional possible approaches will emerge. Please consider taking a different approach; get a proposal into the CIP as a place holder if it is warranted. This is a significant investment of our taxpayer dollars and in our future. You can realize the outcome you desire by exercising some flexibility and creativity; modify your policy; restore public confidence in the MCBOE. Put the goal of a great middle school education out in front rather than allowing for the public misrepresentation of outcomes of a flawed feasibility process. RCHP cannot support the needs of our middle school students. Good evening. My name is Ruth Silverstein. My youngest of three children just completed Westland Middle School and I live approximately three blocks from Rock Creek Hills Park. I have lived in the neighborhood for over 20 years and always wished that Kensington Junior High School had been renovated for the benefit of the current generation, using all of the original land, including the third of the property on which Kensington Park Retirement Community now sits. Sending three children to Westland has cost my family well over 1000 hours in commuting time alone. How great would it have been for them to have walked to middle school? No one disputes that vision. What we do dispute is the process. We dispute the secrecy in which the site was selected. We dispute the definition of “feasibility study,” which by any dictionary calls for an assessment of options before making a selection. We are disappointed in the lack of creative thinking about how a middle school could be configured in our cluster. We are baffled by the closed process by which the architect was selected, and at this point, we are most distressed that the size of the property, predictably, cannot support the requirements that MCPS states are necessary for a middle school. Why build a school that starts out sub-standard? We’ve seen the plans at the Feasibility Advisory Committee meetings and we’ve seen that parking lots may share space with basketball courts. We’ve heard that sports teams may have to practice off-site. Building the school is already displacing B-CC’s off-site practice fields, so where are the middle school kids going to go? We understand that there are other smaller than optimal middle schools in the county but each and every one of them, without exception, is adjacent to a local park, which provides the space necessary for outside sports teams and physical education programs. The B-CC cluster prides itself on its academic achievements, and the IB program is one of the pinnacles of our success. At the last Feasibility Advisory Committee meeting, we could not be assured that the MYP curriculum would be offered at the new middle school Since it is currently offered to all 6th to 8th graders in our cluster, including those at NCC and Chevy Chase Elementary schools, why would there even be a question about offering it at the new middle school? It just seems to be another piece in a very haphazard process that will cost millions of dollars and fall short of the guidelines you’ve set? Please, I urge you, take a step back, and conduct a true feasibility study. We know that there are other options to consider, even though they may delay your schedule. It’s time to do it right, not fast. Good evening, my name is Maria Marzullo, and I would like to discuss the feasibility study process regarding the new middle school for the BCC cluster. I have participated in both open meetings for the feasibility studies for the school proposed at Rock Creek Hills. While this process is called a feasibility study, it is clear that there is no option for a decision of “not feasible”. There is no contingency plan, process or time allowed for the option to ever come about, even though we have repeatedly been told that this is an option. Given the BOE’s time line for a middle school and urgency to include this school in the next CIP budget, a “not feasible” option seems improbable. However, a “not feasible” decision may be the best decision in this case. There are several factors that were not considered between the site selection process and what is called the “feasibility study.” The site topography and location to a watershed stream make it challenging to build on. Site access that was in place with Kensington Junior High, as well as a third of the acreage, is no longer there. The school building would need to be constructed on heavily wooded areas. Site access, road widths and utilities are major factors that would greatly increase costs of building at Rock Creek Hills. Shouldn’t these factors be analyzed before the start of a process that is, in effect, a fait accompli? Why not take some time to analyze the top three sites from the site selection committee to determine some of these factors and compare costs? This could be accomplished in a shorter time line and with less cost of the current feasibility process. Taking the time and perhaps small increase in upfront costs would result in major benefits in the long run. You can ensure that the site will meet not only the minimum requirements for a middle school, but also all the preferred requirements. Selecting the right site could save the taxpayers tens of millions of dollars in construction and infrastructure costs. You may feel it is too late to do this now for this middle school. But, in fact, now is the time to do it before significant dollars are spent and a less than optimal school is constructed. Take a step back and make sure you are building the best school for our cluster, one that meets all the requirements and is at parity to Westland, and ensure that you are doing it in the most fiscally responsible way. Good evening. My name is James Pekar. I'm here again to ask you not to build a middle school that would be uniquely inadequate, county-wide, on the site of Rock Creek Hills Park. Such a school would be the middle school on the smallest site, in the entire county, without an adjacent park to provide outdoor recreation and athletics. Indeed, last week at the "facility advisory committee", two out of three plans presented put the basketball courts in the bus lane. That's right, school buses would have to drive through basketball courts, that's how little room there is in this small park. MCPS continues to portray the site as "the former middle school site," which is inaccurate. A recent letter, signed by Mr. Barclay, incorrectly stated that: "An important consideration in the Board of Education's selection of the Rock Creek Hills Local Park site was the fact that this was the previous location of Kensington Junior High School. Kensington Junior High School was closed in 1979 and the property transferred to the Maryland-National Capital Park and Planning Commission for redevelopment as the park that exists today." Mr. Barclay, you have been misinformed. The "previous location of Kensington Junior High School" included what is today the location of the Kensington Park retirement community. The KJH site was broken up. About the northern third was deeded to the Montgomery County Housing Opportunities Commission, which built what is now the Kensington Park retirement community, home to over 200 seniors. This took about a third of the KJH site; took the road access to the North; and severed what had been a through North-South road – all rendering the remainder, Rock Creek Hills Park, stunningly deficient as a potential middle school site. Mr. Barclay, and members of the Board, don't build a costly and deficient school on this little park. I ask you, please, to embrace opportunities to work together to identify creative solutions to create a school that will support our students with offerings that will be equitable with those at Westland middle school, and with other middle schools in our County. Good evening, my name is Shannon Hamm. This is my third time testifying about why a middle school in Rock Creek Hills Park is a bad decision. The site selection advisory committee process is broken. The report does not reflect facts nor was it conducted in a fair and open process. You did not send it to MNCPPC for a mandatory referral as required. The Feasibility advisory committee process is underway. It does not have the proper representation, which includes MNCPPC and Department of Transportation. It needs an impartial facilitator, one that does not interject his opinions. It needs minutes appropriately recorded by an independent court reporter. Rock Creek Hills Park is 13.38 acres. It would be the smallest middle school in Montgomery County without an adjacent park. That will ensure it will be inadequate with respect to Westland and all other middle schools in Montgomery County. It is clear that the quality of education is not driving this decision. What is driving this decision is the fear of a building moratorium. Shame on all of you for being on the Board of Education and putting development first. Shame on me for not paying attention to your poor record as the BOE. My eyes are wide open. I am advocating for great schools in great locations. Stop the Feasibility and Re-open the Site Section Process – Make the Right Decision. The students and tax payers on the northern side of the B-CC Cluster deserve a school which provides parity with Westland Middle School. Westland resides on a 25 Acre site – Rock Creek Hills Parks resides on a 13.3 Acre site almost 50% smaller. The initial designs from Feasibility Study Meeting show a school which needs a 20 Acres site crammed into a 13.3 acre site. Two options presented actually showed the school buses having to drive through the basketball courts because of the limited size of the site. The proposed school will not provide parity with what is provided for the students at Westland Middle School. Several viable options were not considered and several options were dismissed due to flawed logic. 20 acres could still be purchased to build a school which provides parity with Westland. There was a viable site just outside of the cluster which was not considered (Kensington Elementary). There was no consideration of turning North Chevy Chase Elementary into the new middle school. The report did not consider or even mention all the traffic enhancements which will be made as a result of BRAC realignment. The difficult topography of the Rock Creek Hills Site will add significant cost to the construction of a school. These funds could be redirected to purchasing a more suitable site. Rock Creeks Hill was provided only 4 hours notice prior to the decision to build the new school in the RCH Park. Rock Creek Hills has not been given our due process. The County should not be taking park sites to construct school, they should buy new sites or reuse existing sites. Create a school which does not provide parity with Westland Middle School. Destroy a park and facilities highly valued by the neighborhood. Reopen the Site Selection Process and correct this mistake before you make $40 Million 30 year mistake by building on the wrong site. Maryland law requires a county Board of Education to consult with their local Planning Board before making a school site selection. However, the Montgomery County Board of Education did not consult with the Maryland-National Capital Park and Planning Commission before their arbitrary and unreasonable April 28th proclamation to take Rock Creek Hills Park as the site for a middle school. That was certainly unwise. And, under section 4-116(a) of the Maryland Education Article, it appears to have been illegal. A middle school built on the site of Rock Creek Hills Park would not just be dramatically inferior to Westland middle school, it would be uniquely inadequate, county-wide – it would be the middle school built on the smallest site without an adjacent (or "co-located") park to provide space for outdoor recreation and athletics. "Can you fit a square peg in a round hole?" "Can you fit a square peg in a round hole? If you pound hard enough," said Cathy Fink, a Rock Creek Hills resident. "You can smack a building anywhere, but in this case, not without having a severe impact on the community." - from today's article by Sarah Gantz in the Gazette. In the lead-up to the June 8th first "FAC" meeting of the "feasibility study" process for B-CC middle school 2, we heard a lot of people talking about the Great Wall of Cabin John, that so infuriated a community, because people thought the Wall raises questions about whether the "feasibility study" process can be trusted. "The retaining wall at Cabin John Middle school was not ... put forward during feasibility nor even during the initial schematic design of the school. It was something that happened during the development of the construction documents. The Division of Construction readily admits that we could have done a better job communicating to the community something that happened after the community involvement portion." It wasn't surprising, then, that at the June 8th "FAC" meeting, the Wall came up for discussion several times. What was surprising, however, was what was said, and what was transcribed in the minutes. "They weren't here, at this meeting. They waited until it was under construction." Well. Isn't that rather surprising, given Ms. Jessell's explanation? Isn't it also surprising that the draft minutes for the June 8th meeting do not mention any of this – that they omit all discussion of the Cabin John Wall? Oh, wait, maybe it's actually not that surprising, when you consider that the firm responsible for the Great Wall of Cabin John, the firm responsible for the B-CC Middle School #2 "feasibility study", the firm seeking to blame the Cabin John community, and the firm transcribing the minutes*, are all one and the same. *Yes, you read that right – while the minutes are posted on the MCPS website, they are transcribed and provided by the Virginia firm hired to conduct the "feasibility study". My name is Teddy Springer. I am a resident of Chevy Chase View, and I live close to Rock Creek Hills Park. I am a parent of two students in MCPS and I agree we have a problem with overcrowding in our schools. But I am concerned with the rush to judgement, which started with the flawed, inaccurate site selection process. I do question the process; I do think the process is still a valid concern. The lack of community outreach, the lack of community input is still a big part of this picture. But my greatest concern is not, as some might think, a school in our neighborhood. My concern is a school of lesser quality in anyone’s neighborhood. And if a school is built at Rock Creek Hills Park, I do believe it will not offer its students the same quality education that Westland students get. This school will not offer parity with the rest of the county. And that is a very valid, troubling issue. 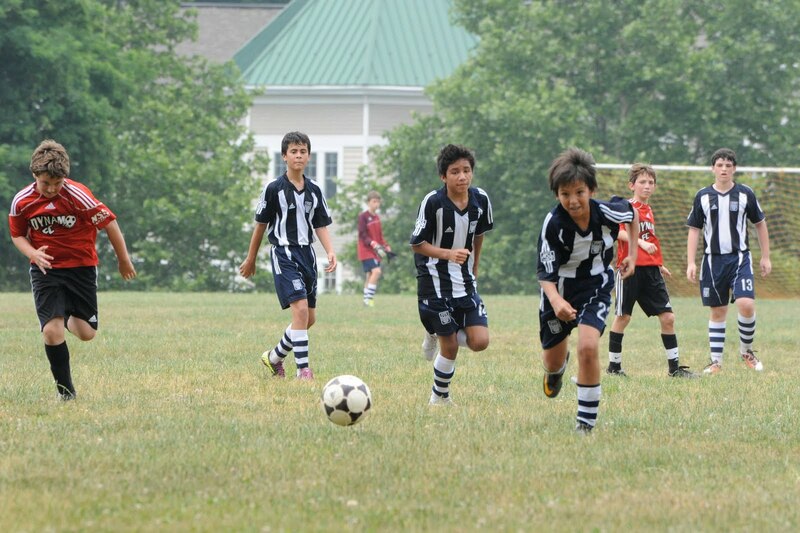 Rock Creek Hills Park is too small to support the structures, the fields, and the curriculum needed at a middle school that will feed into B-CC. Will the students have a middle years program? Will they be prepared for the IB program? Will they have the same physical education and athletic programs? Or will the students need to be bused off site to participate in sports? Or, will parents be expected to drive their middle schoolers to practice? So… will parents from all parts of our cluster feel that all our children are getting the same quality education? I think not. Additionally, I am greatly concerned with the cost needed to engineer an inadequate, unequal school onto this site. The topography, the infrastructure, the safety, the access, the senior home, the significant environmental concerns are all factors driving up the cost to the taxpayers. Individually, these concerns are troubling. Taken as a whole, they are an alarming impediment to using this site. So I conclude by urging you respectfully to reopen the site selection process. This process to date has been flawed, the way this has played out is wrong. So, please, stop now, take the opportunity to fix this while you can. Do the right thing for our students and give them a school that achieves parity. Thank you. Good afternoon. My name is Sandra van Bochove, I’m currently a mother of a 2nd grader at Rosemary Hills primary school and a resident of Rock Creek Hills community. I am here today to voice my concern of a flawed process you initiated without our community input, which resulted in a flawed vote selecting Rock Creek Hills Local Park as the site for a new middle school. From the onset, the site selection process was bound to fail. The means of community outreach was left to one single body, a school’s PTA, although many tax payers directly affected by this process do not have children in the school system but had every right to be notified, but yet were left out. The site selection advisory committee formed by you, failed to be inclusive of all communities listed as possible sites for the new middle school. Out of the ten sites, the top two sites, Rosemary Hills and Rock Creek Hills, had NO representatives on a committee charged with analyzing impacts and suitability for both of those unrepresented communities. Your rushed 11th hour decision to pick Rock Creek Hills as the number one site for a feasibility study was carried out without forethought, and fiscal responsibility. In a rush to prevent a moratorium on development, you failed to analyze the current limitations that Rock Creek Hills Local Park has and the results of those limitations to a middle school curriculum. The site cannot accommodate your own middle school criteria. We are here today to support a new middle school for the BCC cluster, and will support a school that is in parity with the current curriculum offered at Westland middle school. Anything short of that is a bandage solution that does not address the coming population growth to down county. We deserve a good school. Not a sub-standard school. I am here tonight to request that you reopen the site selection process for a new middle school in the BCC cluster and conduct it according to your regulations, in an open and transparent manner. Your vote on May 23, 2011 to move to the feasibility study phase was driven not by the results of a properly conducted Site Selection advisory committee report, but by the crisis of overcapacity due to out of control development in the county. Let me state the fact that not one citizen from the Rock Creek Hills neighborhood was contacted to be part of this committee, as was true for some of the other sites. Exhibit B of the Site Selection report shows that fact. I would have hoped that our elected officials would keep an eye out for issues that impact us and alert us to ensure full participation. That is why I have voted in this county for 27 years. At your May 23rd meeting, I testified, along with other residents, to the issue that the process was broken, that Rock Creek Hills park did not even meet all of the criteria used to make it the top choice. You dismissed these concerns and voted to move forward, except for Mr. Durso. While comments were made by BOE members that this information was “irrelevant” to the decision to move forward, we greatly appreciate Mrs. Berthiaume visiting with us at our park this week. I am shocked and disappointed that you voted to move forward to create a school that will be inferior to Westland and will eliminate the 2 regulation sized soccer fields in our vicinity, where the lower portion of the county has only 12 out of the total 32 soccer fields in the county. If this school is built, it would be on 13.38 acres without an adjacent park. The smallest acreage for a middle school in the county is Pyle at 14.32 acres, but is adjacent to a park. How low will you go? Your track record on voting for good schools and good locations is awful and the list is long. I am not the only one noticing this. We have met with many council members and other elected officials about the broken process you are supporting. We have media attention and we are not going away or giving up. I strongly request that you reopen the site selection process immediately. • to refrain from attempting to take and use any parkland in Montgomery County for school sites. How much thought would you have given to this? Suppose there were hundreds of senior citizens living in a facility right next to (practically "in") a public park, and that it was your job to replace their park setting with a middle school complex. How would you proceed? What would be important? Wouldn't you be especially careful about the well-being and safety of the seniors? Background: On April 28th our County Board of Ed voted to build a middle school on the site of Rock Creek Hills Park, on May 23rd they awarded an architectural contract, on June 8th a "facility advisory committee", part of a "feasibility study" process, met for the first time. Question: In the 41 days between the Board vote on April 28th, and the "FAC" meeting on June 8th, how much thought had the Board & MCPS given to protecting the residents of Kensington Park from the effects of what is estimated to be a two-year period of construction? So, it appears that no one from MCPS or the Board gave any thought to protecting the seniors from the effects of what is estimated to be a two-year period of construction. This may not be surprising, given the fact that the Board did not notify anyone at Kensington Park before their April 28th vote to build a school on the site of the park. "An important consideration in the Board of Education's selection of the Rock Creek Hills Local Park site was the fact that this was the previous location of Kensington Junior High School. Kensington Junior High School was closed in 1979 and the property transferred to the Maryland-National Capital Park and Planning Commission for redevelopment as the park that exists today." The KJH site was broken up, with about the northern third deeded to the Montgomery County Housing Opportunities Commission, which financed with tax exempt bonds the building of what is now the Kensington Park retirement community, providing independent living, assisted living, and Alzheimer's care to over 200 senior citizens. When that parcel was severed and deeded to the Housing Opportunities Commission for that purpose, it took one-third of the KJH site; took the road access to the North; and severed what had been a through road from South to North – all rendering Rock Creek Hills Park stunningly deficient as a potential middle school site, unless the Board's goal is to build a middle school that would be, county-wide, uniquely inadequate. It is shocking to find such an important error in an official letter sent four weeks after the Board's vote to take the park. Shocking, but not surprising, because it is consistent with the Board's record of treating Kensington Park's elderly residents as if they do not exist. "Residents closest to the park selected by the Montgomery County school board as the preferred site for a middle school are ramping up efforts to halt the process they have described as an abuse of authority, a betrayal of parents who support schools and a blatant disregard for the community most affected by the decision." Please, read the article by Sarah Gantz in the Gazette. However, it seems that settling for less than the best is what MCPS is in a hurry to do. In B-CC's choral room, an MCPS facility, children from communities throughout the B-CC cluster are encouraged: "Never settle for less than your best." So, why is MCPS now rushing to build these kids' younger brothers and sisters a school that would be inequitable because of the inadequacies of the site? Why race to the bottom? We'll say it again: We believe that schools should be designed to accommodate the needs, abilities, and aspirations of children – not to accommodate site deficiencies. Two questions about tonight's "feasibility" kickoff. We encourage everyone to come tonight to the choral room of Bethesda - Chevy Chase High School, for the 7 PM rollout of the "facility advisory committee", part of the MCPS "feasibility study" process for a 2nd B-CC middle school. 1. Can this process be trusted? "We, the parents and the community have been duped," said Steve Weitz, representing the feeling of frustration in the standing-room-only community meeting of Cabin John parents and Fox Hills residents on Monday, May 17 at Bells Mill Elementary. They met with James Song, director of the Division of Construction for Montgomery County Public Schools, and his team of architects, engineers, and project managers. The community’s concern is that the MCPS team had known for well over a year that the 11-foot retaining wall would be constructed along Gainsborough Road in front of the school — but had never communicated this architectural change to parents or to community members. Given the track record of this team, it's fair to ask: Can this process be trusted? 2. Is this process reasonable? "20 useable acres (more than 20 acres may be needed due to terrain or for environmental protection requirements)". Rock Creek Hills Park is clearly deficient, as its flat acreage is less than half of this official "requirement". We asked the MCPS why they wanted to proceed with a "feasibility study" for a deficient site. They replied that 20 acres was merely "preferred" but not "required". So, are any of the official "requirements" actually requirements? For that matter, are any of the official "specifications" even specifications? It's fair to ask: Is this process reasonable? Can this process be trusted? Is this process reasonable? If the process does not follow “requirements” then what does it follow to avoid overcapacity that will result from future development within the B-CC cluster? If the process does not follow “requirements” then what safeguards does it have in place to provide equitable education with existing middle schools? Rock Creek Hills Park's nearest neighbors are the residents of the Kensington Park retirement community. It was built by the Montgomery County Housing Opportunities Commission (HOC), financed mostly with tax-exempt bonds, on much of the site of the former Kensington Junior High School, to provide independent living, assisted living, and Alzheimer's care to two hundred senior citizens. The County Board of Ed recently proclaimed that they intend to replace these seniors' park setting with a middle school complex. The site is inadequate to support a 900-student school, let alone afford for peaceful and appropriate co-existence with its senior or other neighbors. So, we ask: Given the large public investment in the senior housing facility, not to mention general principles of transparency & community involvement, how did MCPS & the Board of Ed communicate their consideration of such a proposal to Kensington Park's land-owners (the HOC), managers, and residents? Prior to the Board's April 28th vote to take the park: None. Prior to the Board's May 23rd vote to hire an architect: None. Prior to tomorrow's meeting of the MCPS "Facility Advisory Committee": None. When will the Board & the MCPS stop treating these seniors as if they don't exist? When will the Board listen to voices from our communities? "A hard to believe fact ..."
You just can't make this stuff up, part II.